Stonnington Council has voted in favour of a $300 million office project in South Yarra being developed by local developer Goldfields. 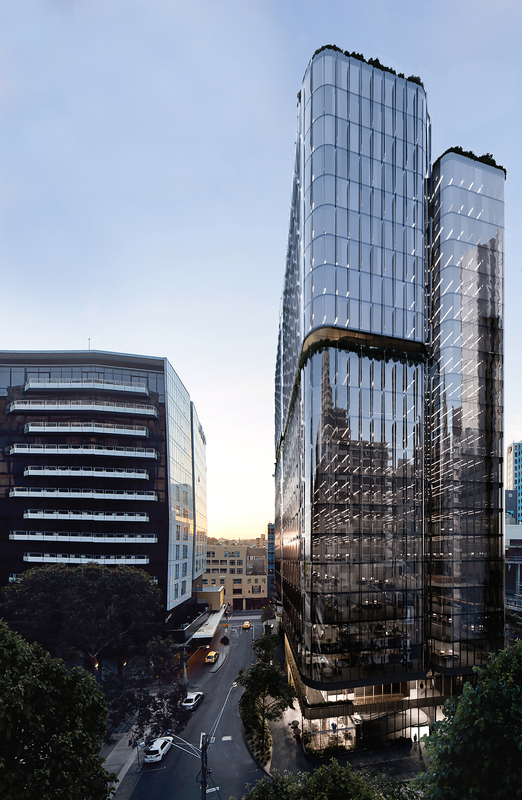 Located at 627 Chapel Street, the 24-storey tower will comprise 24,000 sqm of office space in addition to an expansive as ground floor retail offering. 627 Chapel Street - as it is currently known - has been designed by COX Architecture to set a new benchmark in contemporary and innovative workplace design. It would rise directly opposite the under construction Capitol Grand which is fast making its presence felt on the South Yarra skyline. The development of an office building on the site seeks to contribute to a more diverse mix of uses within the Forrest Hill Precinct. This represents a strong departure away from the predominantly residential development witnessed in recent years, and aligns with Stonnington Council’s vision for a truly mixed-use precinct as set out in Chapel reVision Structure Plan 2013-2031. According to Goldfields, 627 Chapel Street heralds "a new era for South Yarra," by responding to the changing demands of the growing precinct, in addition to prospective tenants searching for an innovative workplace environment which includes restaurants, cafes, multiple green spaces, state of the art end-of-trip facilities, a concierge and a business lounge. Our unique lifestyle approach to 627 Chapel Street will create the best Melbourne CBD fringe office development and workplace offering. 627 Chapel Street sets the scene for future-focused business and will attract progressive occupiers with progressive needs. The building is self-sustaining, connected, impeccably designed and integrated with personal lifestyle amenities – all key factors that will bring this building, and precinct, to life. Goldfields expects construction to begin on 627 Chapel Street in mid-2019, with an expected two-year build. You can read more about the design of 627 Chapel Street in our piece from June last year.